Floating and falling in, Issues with right handed horses. A fact recognised by most serious horse people is that all horses are one sided. Riders often lament that their horse goes nicely to the left but is hard to bend to the right. It’s a fact, about 70% of horses bend better to the left than to the right generally these horses are carrying their hindquarters slightly to the left, the power generated from their hindquarters drives through their spines and the energy is directed out through the right shoulder, this is seen as falling out on a left circle and falling in on a right circle. In reality the horse that bends more easily to the left is exhibiting the ability to stretch better along the line of his right side. Stand up, bend to the left, you will feel that largely your ability to bend one way or the other is determined by you ability to stretch on the other side. This one sidedness in horses leads to plenty of issues not recognised by many horse people. My experience with many hundreds of horses has given me the opportunity to recognise reoccurring issues and come to some simple conclusions as to how and why they occur. First example, when breaking horses in we work primarily from the left side, at the time of mounting for the first time we bend the horse toward us and then mount. I won’t mount until I can bend the horse on immediate conditioned reflex to both directions. This stops the horse from being able to buck(I’m too old for bucking horses) I feel if the horse bucks I have not done a good enough job with my ground work. So when most riders mount a horse for his first ride, most horses are happy to be bent to their preferred left side, usually the rider will then take the horse to the left, everybody is happy. For me, the first test is when you take the horse to his less preferred right side, if things are going to go pear shaped this is often when it will happen. Now if the rider goes through the above process on a horse inclined to bend to the right the potential for issues are immediate on mounting, sometimes before. Not only are we throwing our weight onto the horse for the first time but we are asking him to bend to his stiff side, this makes for a very uncomfortable horse who may panic, buck rear or take off. Automatically the ignorant handler labels this horse as difficult, and the horse goes through his life with a reputation of being a problem horse. The problem is the ignorance of horse handlers. It is my experience that many potential buckers, nervous horses, rearers, bolters are right handed horses. Let stand straighter on mounting and then working to right before the left will usually improve the horses demeanour dramatically. Now floating issues, the standard left handed horse stands on the float with his hind quarters slightly to the left, when we float them on the traditionally more comfortable drivers side the horses rump is slightly away from the wall, if he needs to spread his feet to get his balance when cornering there is some space to step to the right without immediately striking the side of the float. The right handed horse stands on the drivers side with his rump to the right his right foot is already against the side of the float or very close to it. Should he need to adjust to keep his balance he tries to spread the right foot, there is no where for it to go Panick!!! He continues to strive to spread the leg, he scrambles against the side of the float the situation escalates and consolidates the horses fear of not being able to find space to spread his legs. Once again my experience with large numbers of horses has led to a conclusion that many scramblers are right handed horses, putting them on the passenger side will make a difference if the problem hasn’t been completely consolidated as an issue. More seriously consolidated issues that have been left to fester too long will require more effort to solve the issue. We are as crooked as horses, in our day to day lives the crookedness doesn’t get in our way similarly horses either living in a paddock or not being asked for much technical effort when ridden can happily live out their live being one sided. If you want to do something serious with your horse or if you come upon one of the above issues you have to take responsibility for your horses well being. Two crooked’s don’t make a straight. “Ride them forward make them straight” an old but very relevant riding saying. The answer to just about every question starts with ride forward. We have to get control of the problem which is the crooked hind quarter if we want to remove the symptom of falling in and out. No problem, no symptom. Available for purchase on Apple iBooks, Google Books, Amazon Kindle, Kobo and other online ebook vendors. Every year thousands of Thoroughbred ex-racehorses, often referred to as OTTB, (off-the-track thoroughbreds) retire from the racing industry, their future uncertain. Many well-meaning horse enthusiasts seek to take these horses and retrain them for sport and recreational purposes. 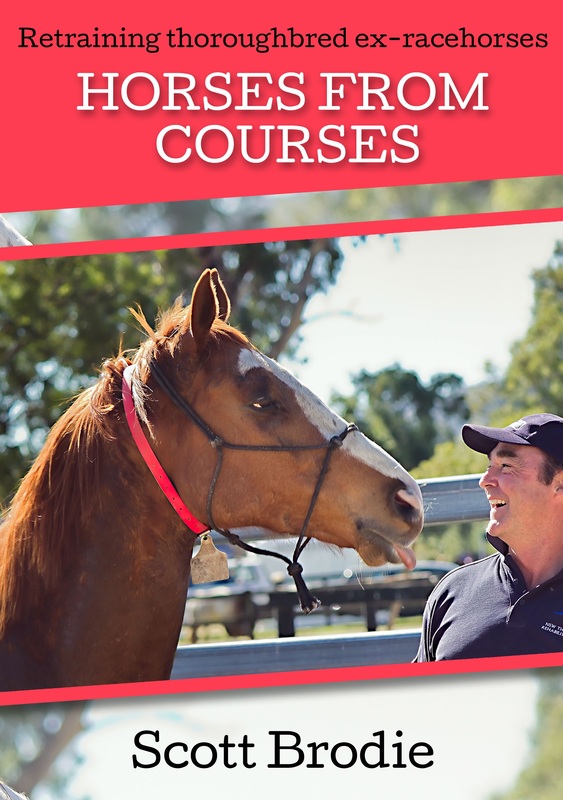 This book takes the accumulated experience and knowledge of horse trainer Scott Brodie—Manager of the NSW Thoroughbred Rehabilitation Trust and re trainer of hundreds of ex-racehorses—and allows the novice trainer to tap into this valuable source of information previously unattainable for the average horse enthusiast. Scott Brodie author of Horses From Courses is Manager of the RacingNSW Thoroughbred Retraining Program. A NSW Mounted Police horse trainer and classically trained rider, Scott has a has a generously empathetic philosophy to handling horses and a unique spin on the retraining of retired racehorses. Utilising a surprisingly smooth synergy of natural horsemanship and the practical application of classical dressage, Scott’s systematic approach to this often difficult and dangerous endeavour ensures the smoothest and fairest transition for the horse from racing machine to a pleasurable riding partner. Gradually encourage and allow the horse more opportunity to reach forward to the outside contact and utilising the dressage whip applied to the same region at that which your leg would contact, encourage the horse to move in a more forward direction around you on an increasingly larger circle. The horse is now performing a leg yield, move the horse in leg yield out onto a wall or fence, have the horse walk calmly forward with inside flexion and outside rein contact, the wall will now eliminate his ability to step sideways and encourage true forward into the outside rein. So bill Adam one of our trainers received the honour of being named runner up in the Gadolphin Darley national stud and stable hand awards for “thoroughbred care and welfare”.Bill has been with the Thorougbred rehabilitation trust since it started 4 years ago he has personally had a part in every horse that has entered the program, around 300. Bill has become an expert at starting horse off the track, his anatlitacal ability has been a very important element in our re training program. Bill has become a great mentor for volunteers and staff alike now taking on responsibility of training trainers. Bill has been a great partner in this journey his loyalty is beyond question, if I asked him to drive from Sydney to Muswellbrook in the middle of the night I have no doubt he would do it, there is no limit to his commitment to the cause. All I can say is, the girl that won the award must be exceptional, if she is doing more for horse welfare than my good friend Bill Adam, we need more like her. If you read my last post , “horses with accents ” you should get a giggle out of this. Miguel tavora is an outstanding man and horseman he is rcognised internationally for his brilliance as a master of classical riding . He has recently produced a long awaited book, the English version will be available early next year. Horses with accents, fact or fiction? I spent all of the 90s with Tina womelsdorf as my instructor, to me it was like some kind of religious experience when I found her, she was amazing. She is now in her 90s I recently shared a bottle of wine with her, and I must do it again. Tina once said to me, though she had been in Australia for 40 years or so, that she still thought in German, occasionally in a lesson when she was thinking fast I would cop a German expletive I’m sure. She used to call me a “blighter” when she didn’t like what I did, who uses the word blighter, I’m sure it wasn’t so polite when translated to German. Tina’s language discussion got me thinking, Ebony who is one of my students and staff is Finish, she said the other day that she now confuses Fin with English and sometime there is no translation from one to the other so she speaks some mongrel hybrid, finglish it isn’t quite that bad but it is interesting. Last week ebony came with me for her first lesson with Miguel Tavora. Now Miguel is Portuguese and though I wouldn’t say it to his face, (he can be a fiery little rooster), it is sometimes very difficult to work through his accent, so when hybrid finglish speaking ebony met the difficulties of “kunter, kunter ” (translation “counter canter”) with Miguel it was quite an amusing experience. Ebony was riding down the long side. “Too straight” said Miguel ebony rode onto a curve” too straight “called Miguel, ebony rode a small circle “too straight!! !” demanded Miguel. I have to say I was totally confused, Miguel jumped up from his seat “stop stop stop stop Ebony”. Ebony stopped “kin you no ear mi” now I’m sure ebony could hear him but I knew she wouldn’t say she couldn’t understand him, “sometime it is not so issy mate” replied Ebony, Miguel turned on his sound system, now she was in real trouble, the Sound system is a shocker, it distorts every word and the louder he yells the worse it gets, to make it worse still, some times when you are at the far end of the arena and you are following the odd sentence it cuts out, Miguel keeps talking like a character in a silent movie for the next 10 seconds and your lost again. “Ok, ride de diagona let im stretch”, ebony responded “too straight ebony”, ebony rode a curve “relax ebony too straight” called Miguel. Well at this point it dawned on me what he wanted, Ebony was too stiff in her position, he wanted her to soften and relax, “too straight” yelled Miguel. Ebony rode onto another circle she was exasperated and gave up trying to understand, she shrugged her shoulder and slumped in the saddle her legs hanging relaxed on the horses sides,” that’s eet that’s eet vedi good eponi vedi good” Ebony turned to look at him with a confused expression, anyway the lesson progressed Miguel weaved his magic and ebony left very happy and motivated. It got me thinking about how when ex racehorse come to us they come with a language, let’s call it “racing” now if the horse is not taught another language he will speak racing for the rest of his life. If he is ridden spasmodically he may pick up a little ” pigeon trail” but raceing is still his preferred tongue. If some one rides him regularly but they are uneducated as riders he will start to speak some broken “Equis” somewhere between human and horse. Remember as with Tina womelsdorf and German, his first language is” racing” and under pressure that’s what he may speak. Most riders who haven’t ridden track work don’t understand “racing” and they have no idea what he is saying, so they get frustrated yell and scream in broken “equis” and an argument ensues. Someone may get hurt simply from bad communication it can be a very serious issue. I wonder if that’s what happened between Turkish air command and the Russian pilot ? Anyway if we take the ex race horse and put him through a systematic Language course, start with ” how do you do” and gradually, without over facing him, lead him along on the course of “classical equis” he will eventually get it, we both will, he may still have a “racing” accent but with careful work on his pronunciation we can have him fluent. Just like our own Pygmalion or for the younger readers “women in red” if you are too young for these use google. So now he speaks fluent “equis” and life is good but remember we have a responsibility to speak clearly and eloquently as well, if we don’t he may well scream” you blighter!!!!. Part 6 retraining the ex racehorse. Once the halter work has been established and can be carried out without resistance it is time to progress to similar work utilising the bridle.Firstly carry out the same exercises of flexing and bending in both directions and turn on the forehand as carried out with the halter, utilising only the inside reign held close to the bit. This should be easily established if the halter work was correctly carried out, it is important that this is the case as we want to avoid conflict with the bit at all times. The next step is to take up contact on the outside reign. The outside reign should be running up the outside and over the horses neck and then to the handlers hand, contact should be similar to that which we require when riding a horse of this level, slightly more firm than we would expect of an educated horse in order to make the contact obvious to the horse yet still elastic, Our goal should be to make the outside contact inviting and comfortable for the horse to take. Initially we are responsible for establishing the contact but in time the horse should have as much responsibility as us for maintaining the contact, thus keeping open clear lines of communication. The horse should be gradually invited up to the outside contact by means of our forward driving aids, at this point our voice, our position, our energy levels and our whip. Horseman, tough guys and Christians, walking the walk. Isn’t interesting ? how often people who are not particularly good or effective at what they want to tell us all how good they are? It drives me crazy how many horse people want to give advice when they really aren’t qualified to do so, I’ve had my advise on things, that have kept me up all night in consideration with 30 years of professional horsemanship behind me, overlooked for some one who has only ever had the one horse or had one when they were a kid or had an uncle who trained race horses, with some spur of the moment comment . It’s always that noisy wheel that seems to get listened to, worse though, we all seem to know it and still get sucked into it. I’ve grow up in some tough environments I was a cop for 12 years, I’ve been working with prisoners for the last 4, I’ve played professional rugby league for the South Sydney Rabbitohs, I was world police heavyweight boxing champion, I’ve rowed surf boats in massive surf, surf lifesavers regularly put their lives on the line for people in the surf and don’t expect anything in return. I’ve met some tough guys. It’s always struck me that the toughest guys are the ones that don’t tell you how tough they are. That quite unpretentious redhead, always polite and friendly, don’t mess with him, the loudmouth with the fast haircut, tattoos and the big muscles, he’s not the one to worry about. This might be a bit controversial, I was bought up a catholic, went to catholic school did all the church stuff and I think I learnt some good moral lessons and respect for others. Recently I have been involved with canna farm at orchard hills Canna has Christian origins, it was started by a priest who used to feed homeless people,now they cater for people who have for various reasons been marginalised from society, refugees,homeless people,long term unemployed former prison inmates and drug addicts no one is judged. Now I’ve been to canna,where we now spell horses, maybe 50 times and no one has ever tried to preach to me or tell me why they do what they do, they just do it, there is no holier than thou attitude they just do good Christian stuff for people who need it. While I was there two guys worked their buts of in temperatures of 45degrees to make our horse float safer for the horses to travel on. When they finished they just walked away, no standing around looking for accolades, waiting to be told what a great job they had done, they just wanted to help . I’m uncomfortable these days with all the pomp and ceremony that surrounds traditional religion people like those at Cana are the truly tough guys of the Christian world. It’s interesting isn’t it ? that in most aspects of life those who are good at what they do don’t need to tell you how good they are. They just get on with it. Are you a rider or a passenge? My instructor The great Miguel Tavora, this is a rider !!! Most people who are riding horses are being taken for a ride. Why ? 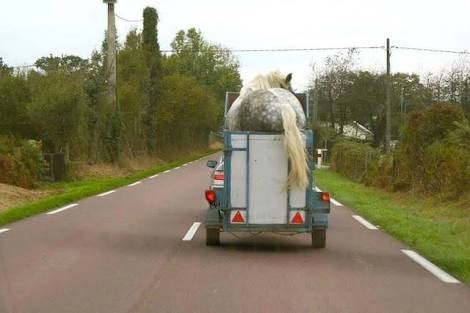 If you are sitting on a horse and not making the decisions you are just a passenger, not a rider. This is fine if you are a twice a year rider/passenger. If you turn up at a trail riding establishment climb onto a very quiet horse who is basically following the horse in front, you are fine, keep doing what you do if you like it, tell people you ride if you like, it’s unlikely you will be reading this information. If you own a horse or ride regularly and you are not making the decisions for you and your saddled partner you are not riding you are living on borrowed time. If you don’t get hurt you are lucky not skilled. Riding is a proactive activity, luckily horses are very docile animals. You might not agree with this last statement but horses, not being proactively ridden, are either willing to plod along and accept clumsy inconsistent communication, or become agitated and confused still maintaining some semblance of sanity. 9 times out of 10 horses will take on one of these roles and do nothing particularly dangerous but 10% of the time they will melt down and become very dangerous. So 90% of the time you are safe because horses are such wonderful animals! the other 10% of the time you are in the hands of the gods. If you have any interest in improving your riding experience and improving the life of your horse it is necessary to take on a leadership role. Riding is a partnership between you and your horse, if your roll as boss is not clearly defined you are in a dangerous position. Sitting on a a beast, one generation away from a wild animal, up 1000kgs of nature able to do whatever it likes if it happens to work out that it is in charge. We should cherish the opportunity to be involved with such wonderful accepting creatures. They are, perfectly designed by some freak of nature to be able to carry us with the same beauty that they are able to carry their majestic selves, to dance, jump, gallop, and spin all carrying generally about one quarter of their body weight what magnificent athletes. That have the power and the means to dispose of us at any time, thank fully for us it is relatively rare that they do. encouraging it forward and across, now step to the inside of what will be your circle, point the whip at the horses nose to encourage him to move out onto a small circle, initially at the walk. The horse should respond to the whip pointed at his nose, if he has learnt his lessons from the previous stages, he will move his head away from the whip. We are now able to move the horse away, by pointing at its nose and to make it move forward by pointing at it’s hind quarter. We should now have the horse moving around us quietly at the walk. Once this is established the handler should consolidate the halt command from walk by using the voice and causing the horse to face up with a tug on the lunge lead , these aids used simultaneously will eventually be replaced simply by the voice command. until the horse begins to trot try to co ordinate the horses urge to trot off with your voice command to do so, this will eventually lead to the horse responding to the voice aid. Work on transitions up and down between walk trot and halt. Once these are calmly established introduce the canter aid in the same way you previously introduced the trot. Be aware of the horses capability regarding balance at this stage, he will canter better in one direction than the other this is normal, our aim here is to establish voice aids. Do not proceed to the next level until this lunge work is fully established. So we arrived at the Beautiful Cedars Shire Stud in Kangaroo Valley, a 2 hour drive southwest of Sydney, for a week long equine assisted therapy program with 7 ex service personnel. The guys were all returned vets, all suffering at different levels from Post Traumatic Stress disorder. They all had different issues but as they explained to me, “Black is Black” there is no “I’m worse off then you” amongst these guys. One of the guys had been housebound for 3 years, one had a companion dog with him 24/7, the dog stopped his crazy nightmares. They had seen, done or had done to them things some wanted to discuss some didn’t. Ive spent nearly 30 years going to this unique part of the world, one of the true beauties of Australia, one that most will never have the pleasure of seeing, I’ve been spoilt but the awe of this place never escapes me. In all of my years of association with the cedars one of the constants was Archie. Archie was a 19 hand black shire gelding he weighed in at 1000Kgs, he was once credited as the biggest horse in the Southern hemisphere. A gentle giant and the first shire horse born in Australia for a century. Shire horses are the English version of the Scottish originated Clydesdale. Shires are generally bigger and in my opinion better proportioned than the Clydies. If you shaved of the immense dense feathers from around their massive legs and trimmed there beatnik beards they would just resemble a big riding horse and in fact they do ride quite nicely. I had known Archie since he was a baby, I was the first to sit on him unbroken. I started him under saddle, rode him through the rain forests of the property, waded through the rivers, galloped like some sort of midevil knight across the never ending green paddocks. I introduced Archie to the mounted police where i rode him all around the streets of Sydney on patrol, taught him to be steered by the stirrups while carrying the drums for parade work, sat on his back with two other police mounted on my shoulders during vaulting work, and won prizes at the Sydney Royal Easter Show, we had plenty of history. At the end of what had been a particularly cold winter, old Archie now 28 years of age, was looking every bit of those years, not through neglect, for never was a horse better cared for than Archie by his owner/mother Helene Scarfe. No, Archie was very old, most shires only live into there teens. He had dropped off in condition even whilst hand fed and on the lushest of pasture improved grass. It saddened me to see this most majestic of creatures so obviously nearing the end of his days. 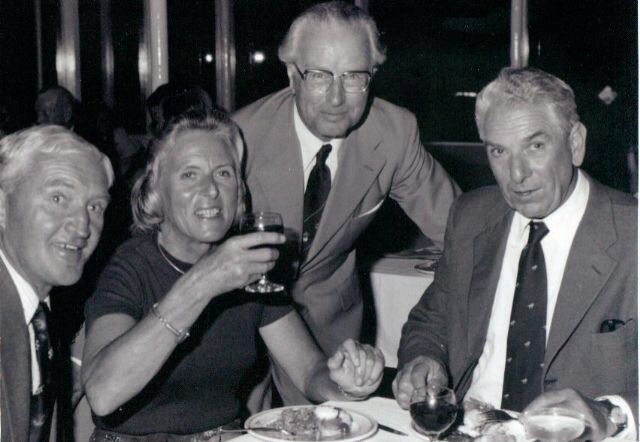 What a servant he had been, to the shire breed, now numbering some 300 registered animals in Australia, to the people of NSW, as a police horse and as an ambassador for horses in general, in his days of fame as the gentle giant at shows and media events all over the state. Archie was a big part of my Journey as a horseman he was Truly a part of my life and that of my family, all 5 of my sons had sat upon his mighty back, on occasion 3 at a time..
At the start of the PTSD course I had been told that the previous week Archie had not been able to raise himself from the ground and had only gotten back to his feet with the use of a tractor. On first look I new Archie was ready to to go. I felt it could be any day and hoped it wouldn’t be too long, like looking at a loved relative in the last stages of cancer, one wants them to stay but knows it is inevitable that they must go. On the second day of the Course one of the Soldiers found Archie down and unable to get up in the corner of his paddock, he lay beside a grove of massive Cedar trees from which the property gained its name, draft horses had hauled the valuable timber from these secluded valleys for more than a hundred years until they were replace by tractors and trucks. there were no struggle marks Archie had just lay down and couldn’t get up. Archies hauling days were done. the soldiers gathered with me and as a group we struggled to try and get the big fella too his feet, for an hour we toiled, managing to raise his front end but unable to get his hind quarters to take any weight. Time and time again we pushed and pulled only to have him lay back on his side with a forlorn groan. The time had come, even with the the use of the tractor we couldn’t get him to rise. The guys had been told of Archies history and there was no doubt that they felt an affinity with this great beast who had served his community as they has theirs, there was a feeling of mutual respect by all of us toward this grand old man. The cedars is a working farm, and as on all farms, animals from time to time need to be Humanly put down, Greg the owner of the farm looked at me and i looked at him “its time mate i said” Archies beloved Helene was away for the day, Greg struggled with the thought that she wouldn’t be able to say goodbye but to leave him in this state would be unfair. I tuned to to the men, sweaty and exhausted from the efforts of the last hour. “Lets give this morning a miss fellas, you go back to your rooms while greg and and i deal with this, you have all done your bit and we really appreciate your efforts, we will gather again for a debrief this afternoon.” I had no idea what might be the result if these scarred soldiers were allowed to watch while Greg carried out the task of ending Archies life. The men stood fast, they were going no where, one spoke “we have been here through this and we will stay until the end it only seems right that we give him the honour of a proper send off”. Still unsure of how this would effect the group, I could see that it wouldn’t matter what i said, they were staying. Greg went to get his gun while we stayed with Archie, some patting the huge mass of horse helpless on the ground, some standing in contemplation, no doubt each effected in their own way, some maybe recalling other memories some lost in this very moment. Greg returned, as i stood beside him with my hand on his shoulder the soldiers took up a position behind us standing quietly some at attention, some at ease. Greg looked to the sky for a long moment, He had known Archie longer than me. Greg had been at his birth and helped Helene tend to him while his mother lay on the ground for weeks suffering from extreme foal founder, Archie all 11 hands of him fed from her where she lay. With one loud shot the job was done. As the echo bounced from cliff to cliff for what seemed an eternity, I stood with my arm around greg and we both wept, there was not a dry eye amongst us. A send off fit for such a special creature, a troop of men honoured his life of service, gathered in a Cedar grove with one of the most magnificent backdrops in the world, the ancient stone escarpment reaching to the heavens above the lush rainforest and emerald green of the thickly grassed paddocks. We all stood quietly for some time. After a while greg broke the silence,” ill take him and bury him now”, a grave had been prepared in anticipation of this sad day. The serviceman where not finished, they gently attached a harness to Archies limp body so he could be lifted by the tractor and carried to the grave site. The men either clambered onto the tractor or walked in procession behind it as Archie was carried to his final resting place. An hour later we gather to de brief what we had been through. How would the course progress from here? could it ? The first man spoke. “I served in Somalia, I have seen piles of bodies and body parts, I dealt with them like a zombi, I feel like what we have just been through today has allowed me to behave the way humans should behave in this kind of situation. It hurt and it should hurt.” Another spoke of Archies service to the community a parallel to that of the men gathered. I told of my memories and cried some more. There was no doubt we had been brought close together by Archies passing, as a result we went on to have a wonderful and fruitful week of horse experience, story sharing, unloading by the campfire and helping each other honestly and intimately. Strangely a band of brothers for the week helped on by the mutual respect for a great and majestic draught horse who left us all better for the experience. That which does not kill us makes us strong. Band of brothers with one of Archie’s nephews. In memory of Cedars Archibold.